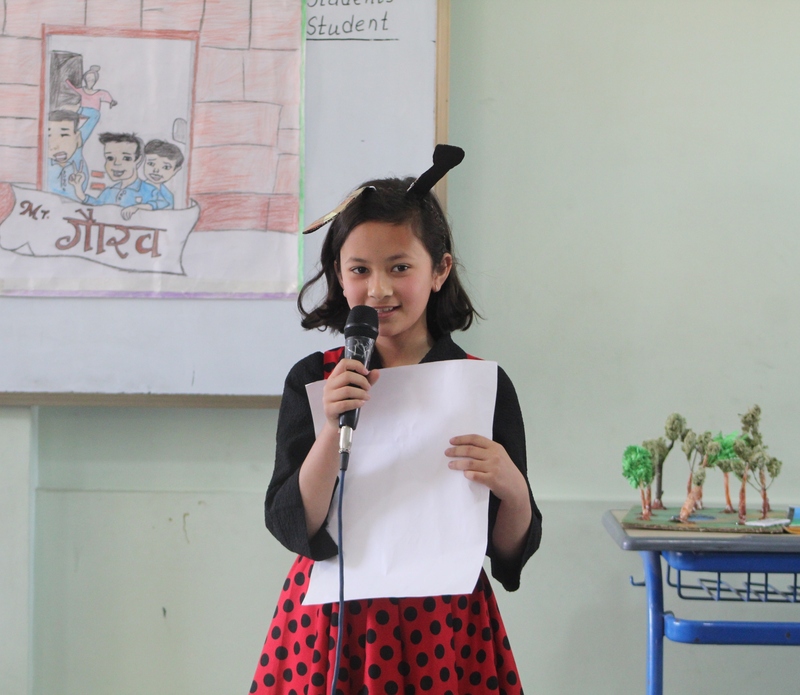 ‘Book Review and Presentation’ has been a regular classroom activity where our students share their learning outcome with their parents. This time our fifth grade students shared their multiple perspectives on the book “Games and the Giant Peach” by Roald Dahl and “Mr. Gaurab” by Roshan Pokhrel. They also presented their understanding and knowledge in different thematic unit. Parents were very happy to see their child gaining confidence and developing their communication skill.